Top 10 places in Tokyo! Hello everyone, Maria here! 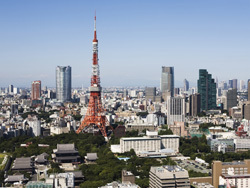 This article will feature some of my favourite places in Tokyo. I am personally very much in love with Japan and the Japanese culture. My best friend whom I grew up with is half Japanese. Her mother always made sure her daughters were living the Japanese way of life. I was lucky enough to witness this growing up.